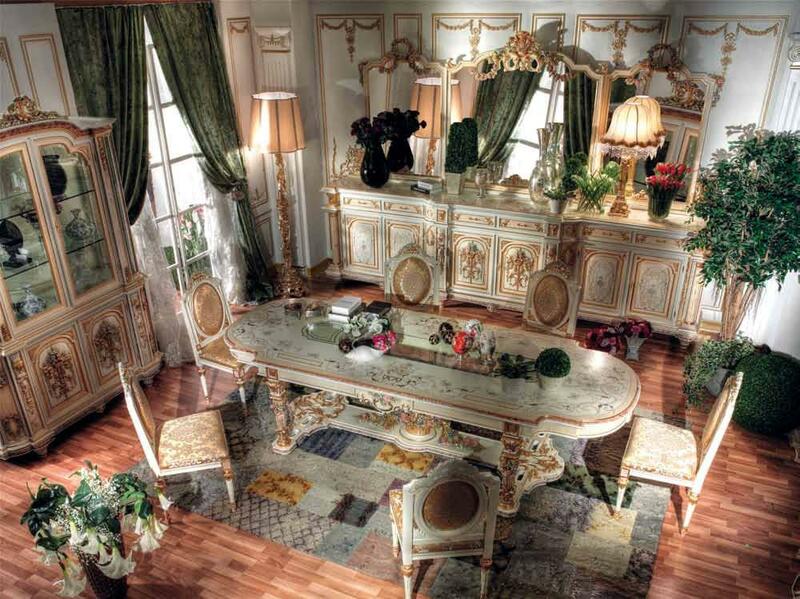 Finely carved dining room with central glass top and hand painting decoration,all made in solid wood. 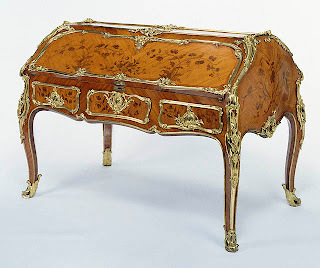 All pieces are made in sponged multi-colour lacquering with gold leaf see also " dining table in Louis XVI Style "The style of this dining room recalls the glory of Louis XIV empire and evokes its splendor and its magnificence. 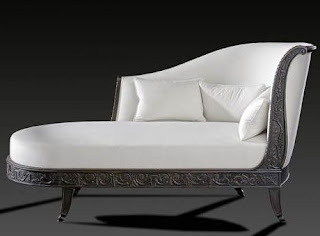 Its chairs are embellished by precious golden silk fabrics. A dining table is the most important purchase for a dining room, whether it is casual or formal. Choosing between different materials for your dining room table can be a daunting task, especially when there are pros and cons for each material. Strength and beauty are some of the key characteristics of dining chairs.